A commissioning initiative supporting self-directed projects in the applied arts. 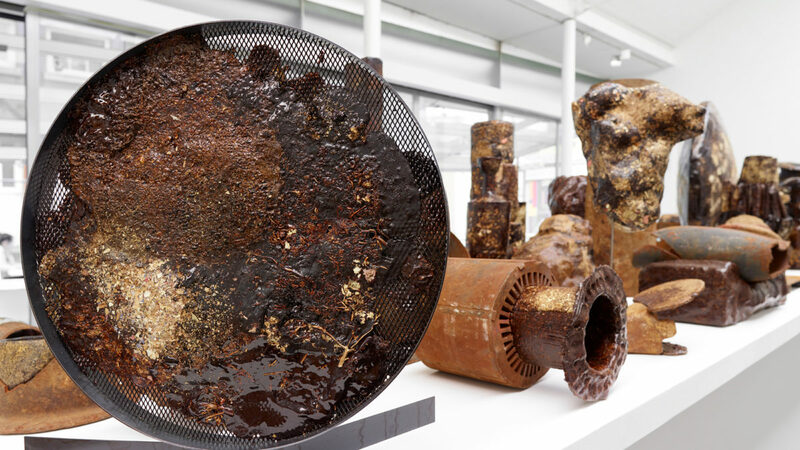 Jerwood Makers Open is a biennial commissioning opportunity for self-directed projects by UK based artists, makers and designers who are within 10 years of beginning their practice, and was launched in 2010. It supports exceptional early career makers to develop their ideas independently of specific commissioning structures and is selected through a national open call. Five artists each receive £8,000 to create new works for a national touring exhibition. We launched this initiative in response to a need for makers to undertake projects outside the specific commercial briefs common in the applied arts, in order to develop their personal vision and enable them to take risks, learn and experiment. It also responds to an ongoing dialogue around the place of materials, skills and process in contemporary visual arts. Please visit our What's On pages for information about current awardees and exhibitions. 2019: Max Bainbridge and Abigail Booth (Forest + Found), Mark Corfield-Moore, Lucie Gledhill, Bethan Lloyd Worthington and Tana West.